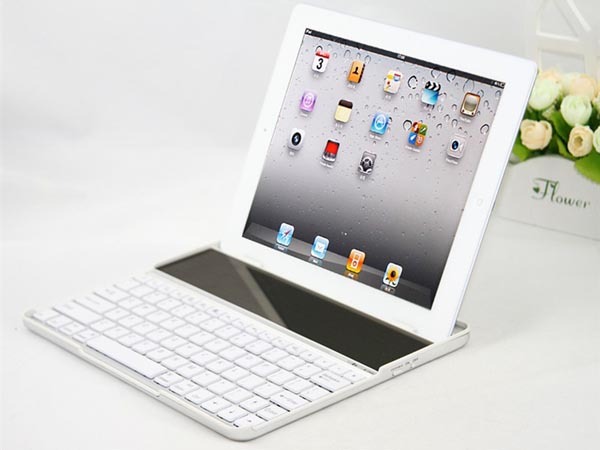 Solar Powered Bluetooth Keyboard Case For iPad. 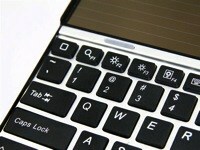 You might – as I did – laugh at the idea of a solar-powered keyboard for the iPad. And then you will remember that independence from power supplies is one of the iPad’s main features. And then you will take a closer look at this aluminum and plastic slab and see that it looks a lot like my favorite iPad keyboard from Zagg. In fact, in some ways this is better than many other iPad keyboards, in that it actually has keys for adjusting brightness. If you’re moving from place to place as you work, brightness control is something you’ll be doing a lot. Most modern keyboards give you useless cut/copy/paste keys instead, which can be duplicated by the regular ⌘-X, ⌘-C, ⌘-V shortcuts. It’s also cheap, at just $45, and can be juiced via USB should you find yourself underground or imprisoned for any length of time. Sadly, though, it only comes with a U.S layout, which means the tilde key is up by the top row and – worse – the return key is a tiny sliver compared to the majestic, elegant and huge L-shaped key on an ISO keyboard. Apple Now Allows You To Report iMessage Spam. Do you get frustrating iMessage spam from people you’ve never met, or companies you’ve never heard of? You’re not the only one. Until now, you could either make friends with them and save yourself from loneliness on those cold winter nights, or you could ignore them and hope that they don’t text again. But now you can report them to Apple, too. 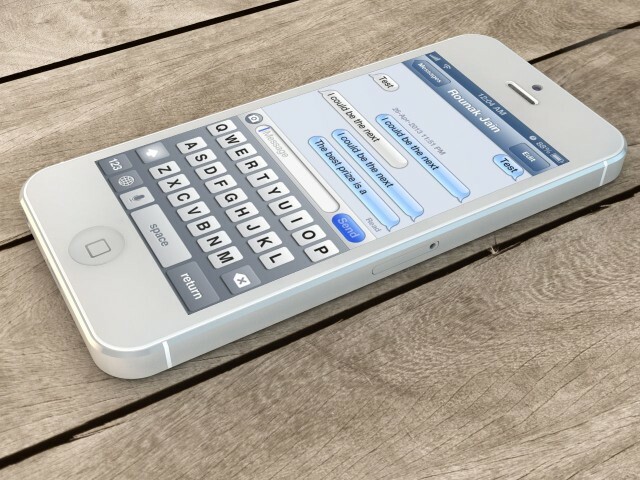 Apple then goes on to explain how to take screenshots on a Mac or iOS device, and how you can distinguish iMessages from traditional SMS and MMS messages. Fortunately, I’ve never received iMessage spam, and I don’t know anyone who has. But clearly it’s an issue big enough to warrant an Apple support document. It’s unclear what Apple does with your report, but I’m assuming it has the facility to block frequent spammers from sending iMessages. Apple promotes tax-free shopping days. 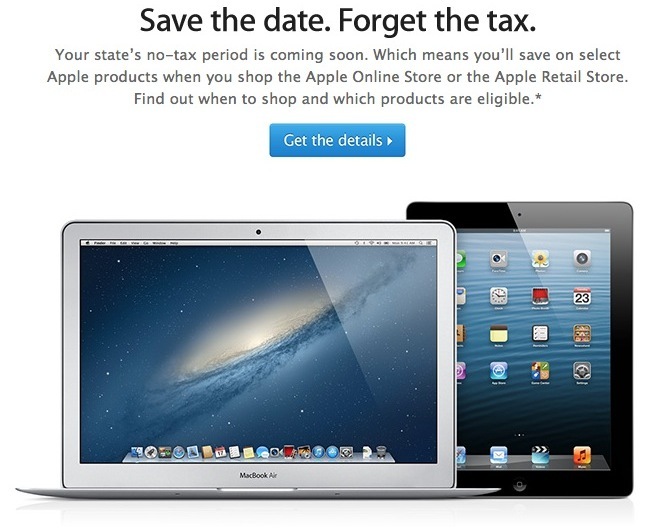 Apple on Monday began reminding folks that a number of states are holding sales tax holidays beginning on August 2nd. As the name implies, sales tax holidays enable consumers to purchase certain types of items and forgo having to pay sales tax. Come early August, 10 different states will hold sales tax holidays for varying lengths of time wherein certain Apple products will qualify.. The states where deals can be had include Alabama, Florida, Georgia, Louisiana, Missouri, New Mexico, Massachusetts, North Carolina, South Carolina, and Tennessee. Note that every state has its tax holiday begin on a different date, so make sure to check out Apple’s website for more details. Further, keep in mind not every item under the sun qualifies for the holiday sales tax exemption. You see, the intent of the sales tax holiday is to help subsidize back to school shopping, which is why computers in some states are included. So unfortunately, that big screen TV you’ve been eyeing at Best Buy doesn’t qualify, which is a shame because there really is a lot of educational programming out there these days. Kidding aside, it’s worth noting that the sales tax exemption can be applied on top of Apple’s current back to school promotion. Also note, per Apple’s informational page, that when you purchase a qualified item from Apple’s online retail store, the normally applicable sales tax will show up in your shopping cart. The “correct no-tax amount”, however, will be evident upon receipt of your email purchase confirmation. Starbucks to expand wireless charging program. 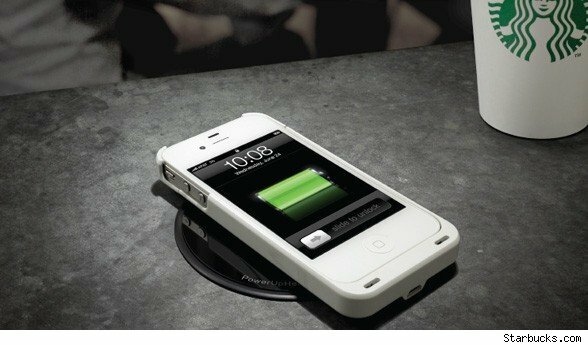 AllThingsD reports that Starbucks is expanding its experimental wireless charging program to the West Coast. The program will roll out at 10 stores in the San Jose area in August. It introduced the program in a number Boston-area stores using Duracell Powermats, a PMA-standard wireless charging mat which allows those phones with compatible Duracell cases to simply rest it on the mat to receive power. The cases retail for about US$35 for the iPhone 4 and 4S and $50 for the iPhone 5, and AllThingsD adds that Starbucks and Duracell have been giving away sleeves to frequent customers. AllThingsD draws attention to the competing standards for wireless charging technology, but Apple will most likely be another keen observer as the program unfolds in the San Jose area. It published a patent for wireless charging technology in November 2012, and experiments by third-party case makers with wireless charging stretch back to 2009. If anyone has the ability to standardize wireless charging, it’s Starbucks. If Apple develops a phone that does wireless charging in compliance with the PMA standard, combined with Starbucks’ program, it could go mainstream very quickly. 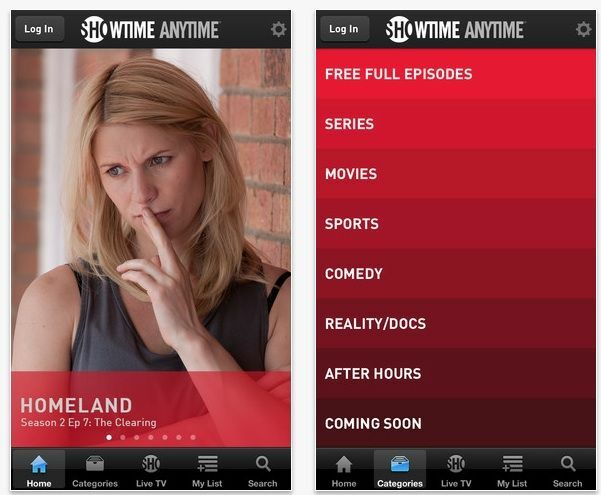 Showtime Anytime Now Lets You Tune Into Live TV From Your iPhone. Providing access to old episodes just isn’t enough for cable channels to be competitive on iOS anymore. The latest trend is to allow users to tune into live TV if they have a cable subscription. ABC, Time Warner, and ESPN are all doing it, and now Showtime is jumping in too. Showtime Anytime 2.0 hit the App Store this morning with a new feature that lets you tune into Showtime’s live programming. Now you can ride around town and not miss a second of Homeland season 3. Tim Cook reportedly visited China to talk iPhone with the carriers. Apple CEO Tim Cook has reportedly made another visit to China, with iPhone the topic of conversation with the nations carriers. Cook’s third known trip to China has reportedly taken him to see China Telecom, China Unicom, and perhaps even the worlds largest carrier, China Mobile. Of course, when Tim Cook goes anywhere, and talks to anyone, there’s bound to be speculation as to its purpose. China Telecom is already an Apple partner, and beyond talk of the next iPhone it’s also speculated that Cook may have been there to discuss falling sales. Apple Store employees file lawsuit over security searches. Two former Apple Store employees have filed a lawsuit against Apple over claims that they were not paid whilst undergoing security searches at work. Apple store employees must submit to a personal package and bag search when clocking out for a break and at the end of every shift. The searches can take up to 15 minutes. One of the employees involved claims to have worked between 50 -90 minutes of unpaid overtime each shift. That could be worth $1,400 in uncompensated hours. The lawsuit is looking to end this practice, whilst seeking compensation for all employees who may also have been forced to work uncompensated overtime. Because this is a class action lawsuit, it covers all Apple store employees. It will be really interesting to see whether the lawsuit does indeed fall upon a legitimate claim, because Apple may well have to pay out a fairly substantial sum of money in order to compensate for unpaid hours.